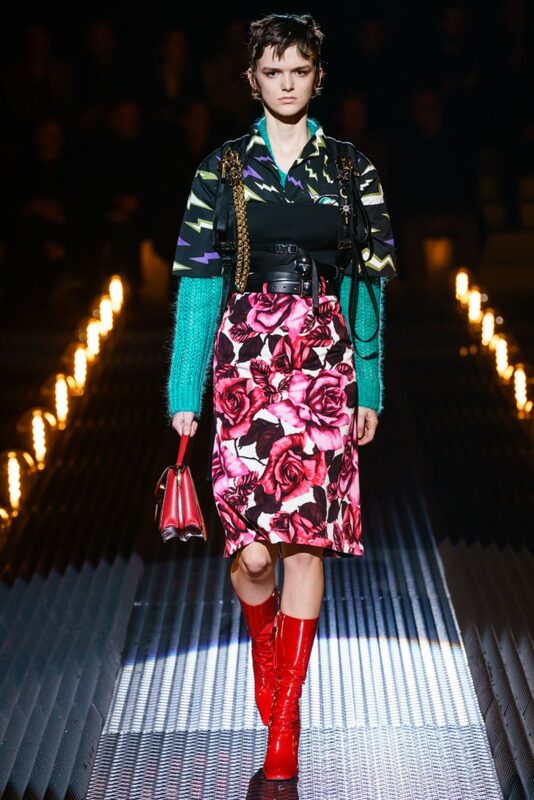 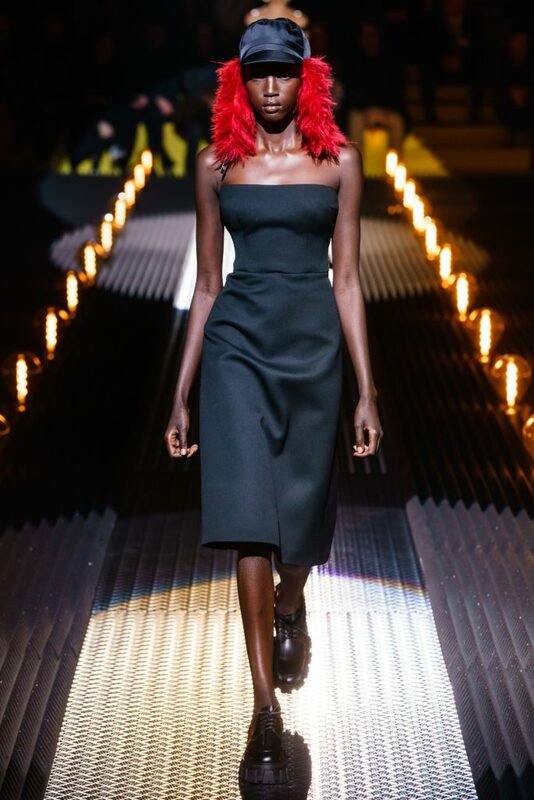 Prada enjoyed playing with off-kilter themes for its runway presentations, with Fall/Winter 2019 realizing one of the house’s most unusual reference points to date at the Milan Fashion Week. 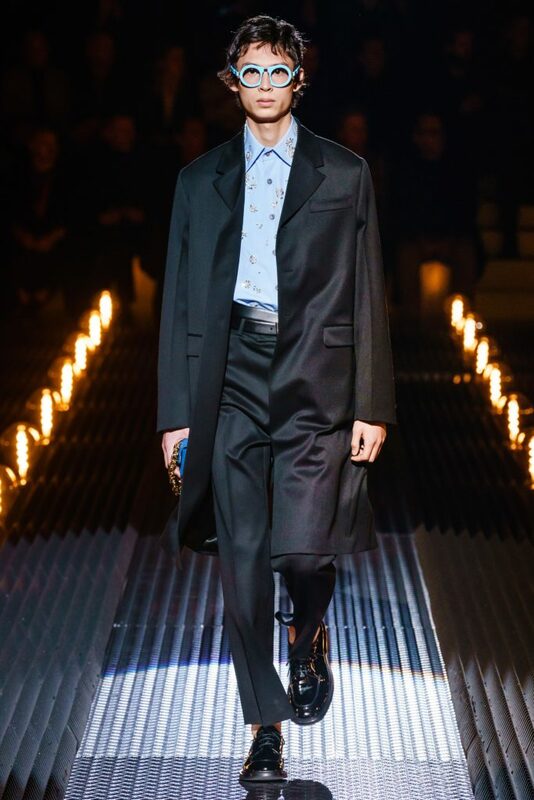 As such, sci-fi flair blends with military-indebted items like olive drab field shirts, bomber jackets, cargo pants and pouch-laden bags, undercutting the functional bent with plush wools and the sheen of Prada’s signature nylon. 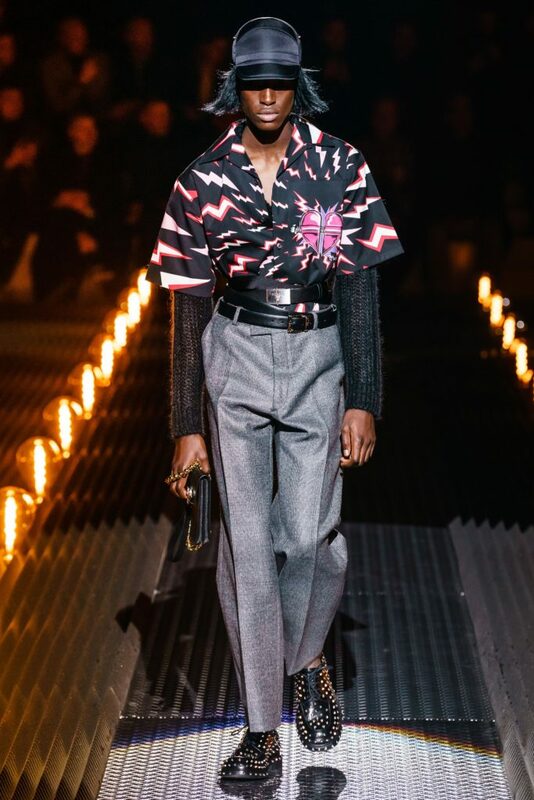 Furry headwear and sweaters, chunky footwear and lightning bolt imagery reaffirm the monster movie influence, furthered by mad scientist eyewear, playfully contrasted against a series of trim suiting and pleated trousers. 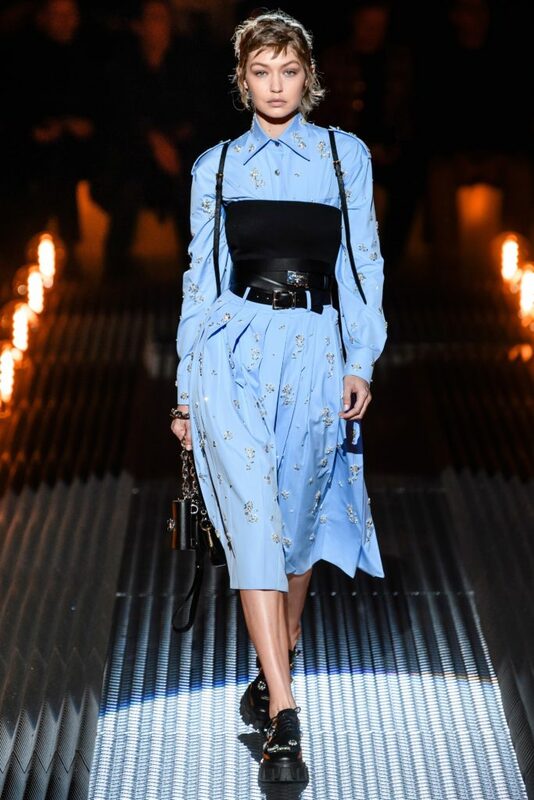 Prada’s boxy graphic shirting returned, complete with matching bags, aiding to enliven the muted navy, olive, black and grey clothing.